Mexico has so much to offer in terms of gastronomy and culture that it would take years to experience everything. One of the most beautiful parts of Mexico are its small towns scattered across the country, these towns are usually located a few hours away from big cities and each one of them has something unique. Each state has at least one of these magic towns; some of them include Malinalco, San Miguel de Allende, San Cristobal de las Casas and Valle de Bravo. Valle de Bravo is one of the closest ones to Mexico City making it one of the most popular within Mexicans. Many people from Mexico City have weekend homes here so it can get very crowded especially during holidays. Valle as everyone calls it is beautiful in many ways. It’s a perfect place to connect with nature and enjoy the woods either with a long walk, a bicycle ride or just by appreciating the view. There is a big artificial lake where you can do all type of water sports like sailing, paddle board, jet ski and water ski. Houses and the downtown area of Valle surround the lake, houses located in this area have an amazing view and can enjoy the sunsets this destination offers. The downtown area is very quaint and has a nice touch to it. It has kept its original appearance with small building painted in white and burgundy. The cobble stone streets are full of small boutique stores and restaurants. You can’t miss the zocalo or the big square where the church is located. 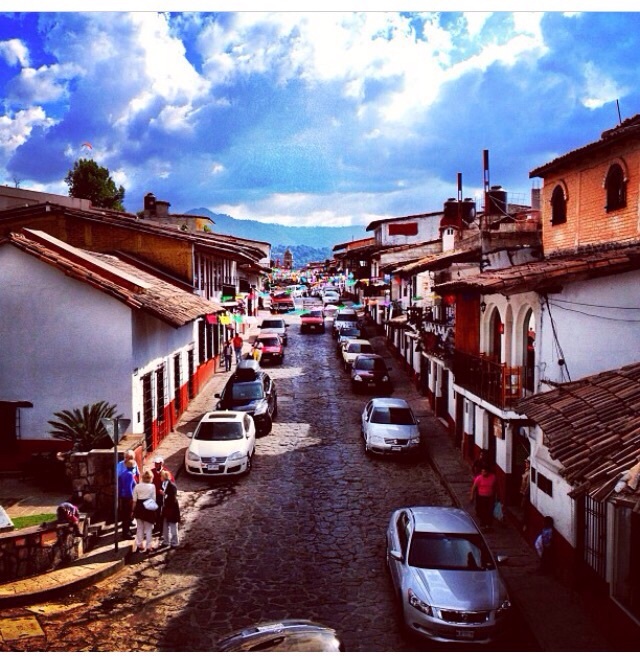 Around the zocalo artisans sell handcrafted items and jewelry. You can also enjoy ice cream and popsicles, the best store to buy these are in La Michoacana. If you like to try out new flavors get the Grosella or Arroz con Leche Popsicle. They also sell the typical ones and they are all delicious. If you want a snack around the Zocalo try the esquites or corn kernels. The atole which is a hot beverage made out of corn is also delicious and very typical. Da Ciro is a typical casual Italian restaurant, it has a beautiful patio and the food is really good. The pastas are delicious and it’s a great option for dinner with friends or with your other half. Dipao restaurant is also Italian but it has more variety. The place is very casual but nice; it’s perfect for families or big groups. Their grilled artichoke with cheese or risotto is a must. Pizzas are also delicious and great for sharing! If you plan on going here on Friday night I would recommend you reserve a table. mintnoti	el 21 de abril de 2015 a las 17:11 05Tue, 21 Apr 2015 17:11:07 +000007. Great photo, sounds like a nice place! Michelle on Bell	el 21 de abril de 2015 a las 17:14 05Tue, 21 Apr 2015 17:14:20 +000020. María	el 06 de mayo de 2018 a las 09:41 09Sun, 06 May 2018 09:41:53 +000053. Thanks for the review. Would be great if you could include Mexican restaurants, in order to appreciate the local food and culture.